Ah yes! I finally got some time to go out and see something new! 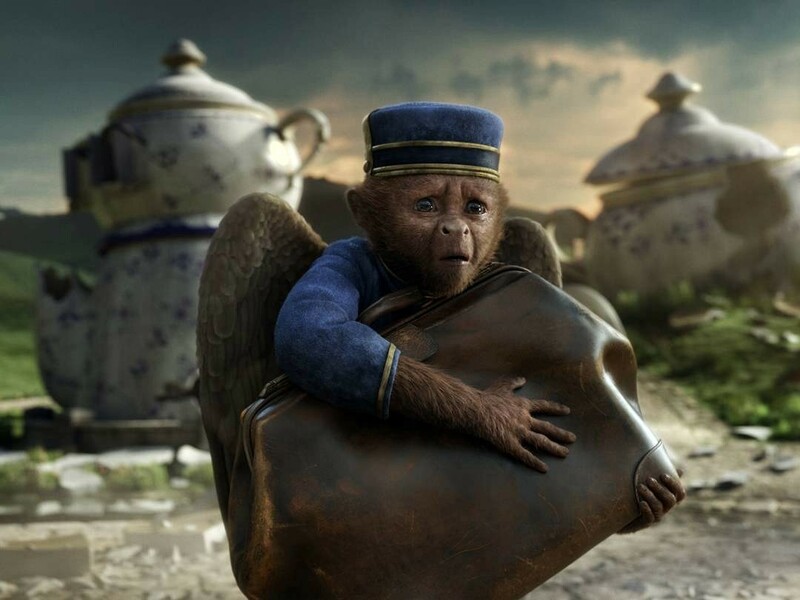 At first glimpse of Oz I’ll admit I was fascinated, but then when I witnessed Zach Braff’s voice coming out of an animated monkey, I sighed as heavy sigh of lost dreams – but really how did this fantasy epic fare? Not that great. Sorry, but I can’t properly dissect this one without a few spoilers. We open up with Ye Olde Time Kansas, circa 1905 – even though I really don’t think we needed that date there, but whatever. Also, a simple black and white filter does not due the concept justice – why not film with slightly lower quality equipment? Why can’t you help us believe this is older without telling us? Anyway, I’m nit-picking. Seriously though. How did she fool anyone? Naturally Oz’s adventures follow what has now become the traditional Oz norm – healing a girl he couldn’t help in Kansas, realizing the importance of friends, all that good stuff. So with this magic and whimsy we’re forgetting one important thing: Oz is a terrible human being. Which is funny, because given the ending of the original we forget that Toto was totally supposed to get put down, either that or it’s assumed that Elmira Gulch died in the twister – so we forget all the bad things if we’re given one really good thing. Oz wasn’t that bad, though – aesthetically this film was fairly impressive, though I think a mix of some actual critters would have been appreciated, but perhaps that’s just me. I know it’s supposed to be a dream world of magic, but if it only looked organic, then it would have been spot on. Which reminds me, let’s talk about the makeup. 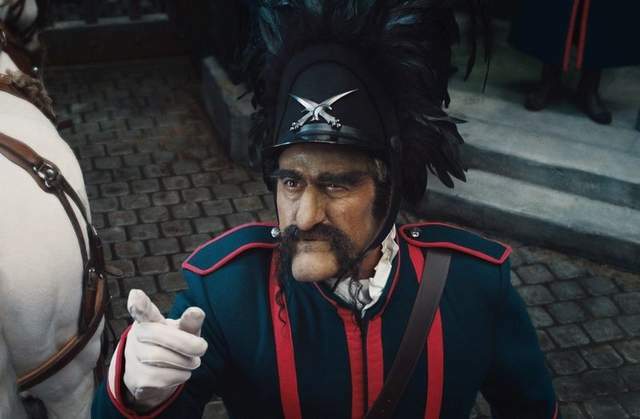 I guess it’s an unspoken rule that in a green-screen world there is little room for makeup application, which is to say there wasn’t much in this movie – not that it really needed it, but I think they should of focused more where it counted. 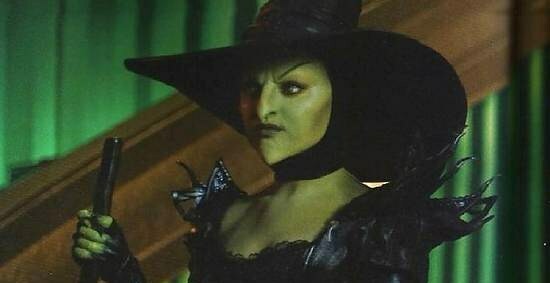 Specifically, I’m talking about our wicked witch, Theadora. Sorry about the quality – it was hard to find one that showed most of her face. You see those eyebrows? They never move. In fact, the only thing that moves on her face freely is her mouth. I know they were trying to make her look as malicious as possible, but those painted eyebrows just look like a bad face-lift. She doesn’t look scary, she looks goofy. Again, so much potential here and completely anticlimactic. 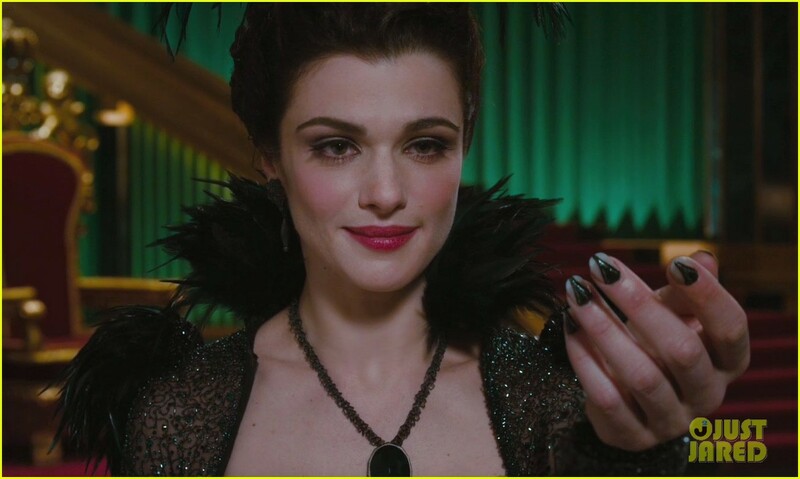 Oz the Great and Powerful should have been much better than it was. There were some neat ideas here and there and a bit of originality, but in the end, this trick falls flat. Ignore the man behind the curtain folks, he’s really not that interesting. Posted on March 24, 2013, in Review and tagged adventure, disney, fantasy, sequel. Bookmark the permalink. 1 Comment. A miss-cast wizard, and a pedestrian script made for a disappointing day at the movies.